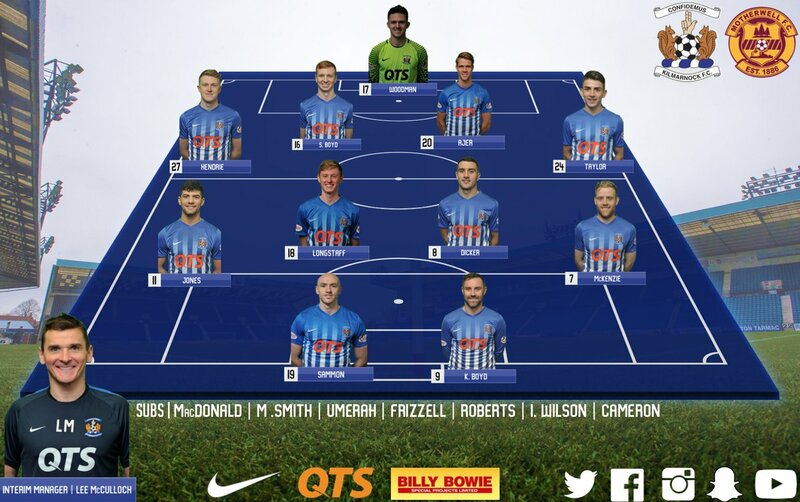 Freddie Woodman, Luke Hendrie, Kristopher Ajer, Scott Boyd, Rory McKenzie, Greg Taylor, Gary Dicker, Jordan Jones, Sean Longstaff (Callum Roberts 79), Connor Sammon, Kris Boyd. Subs Not Used: Jamie MacDonald, Martin Smith, Josh Umerah, Iain Wilson, Innes Cameron, Adam Frizzell. 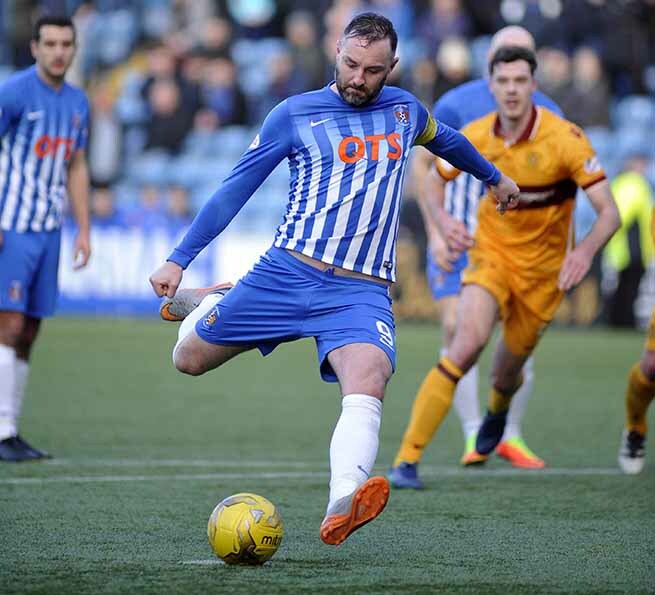 Half way through Saturday’s game the journalists at Rugby Park were penning stories about “Special K” – the Killie Legend Boyd who had just scored his 200th top flight goal in a first half totally dominated by the home side. 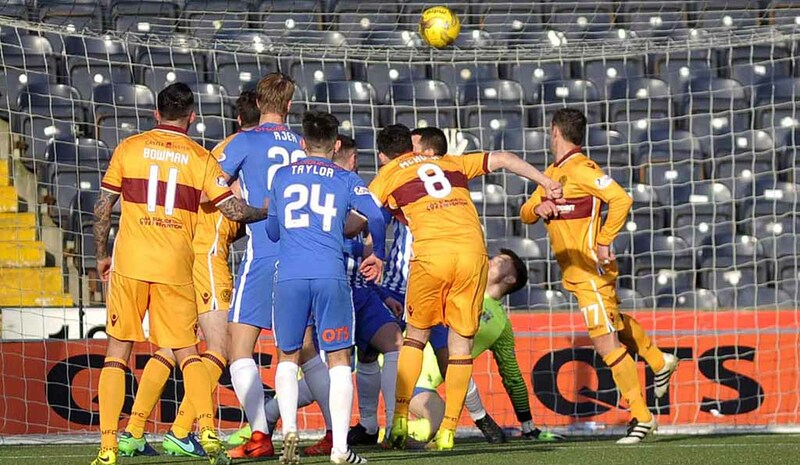 In truth, Killie should easily have been ahead by more than the single goal and Motherwell had only created a half chance for their little Aussie frontman McDonald which was instinctively saved by Killie ‘keeper Woodman. 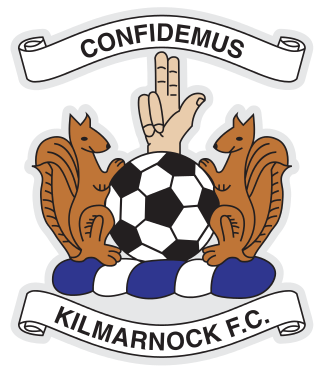 At the other end Killie were showing variety and invention - attacking down both flanks and particularly at corner kicks. 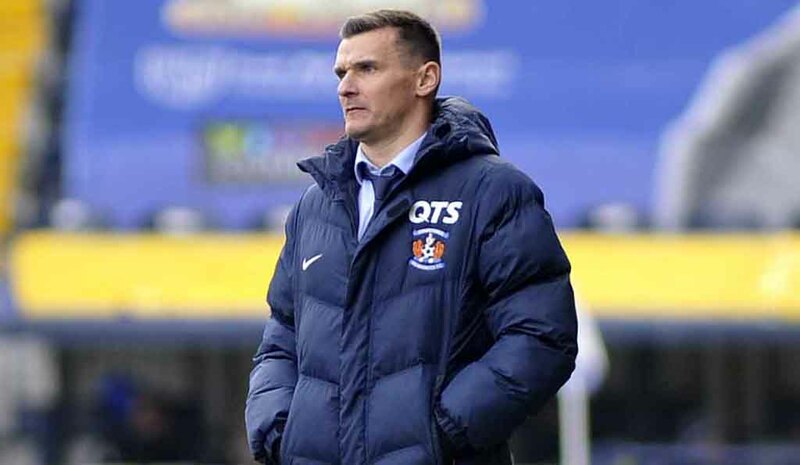 It seemed that interim boss Lee McCulloch had taught the side “The Conga” and as Jones swung a corner over they all danced off in various directions (causing confusion in the ‘Well defence) the ball fell to that man Boyd who volleyed the ball with his left foot but against the bar. The rebound fell to Ajer but his effort was blocked by McHugh’s head. 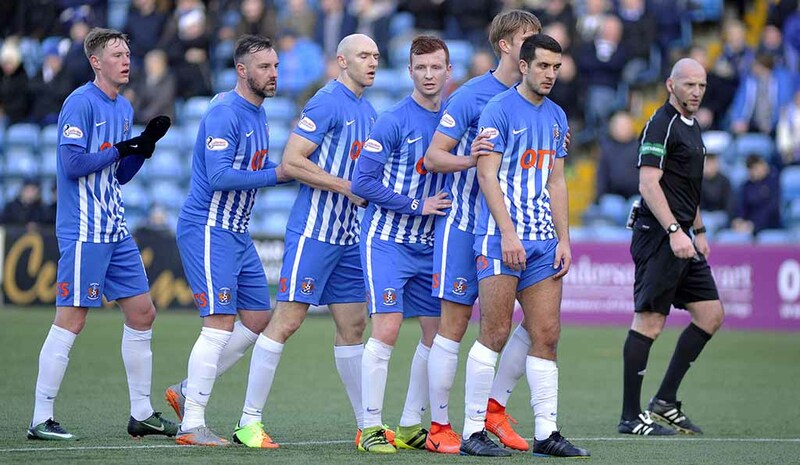 At least three different types of corners were tried in about five minutes and it was encouraging to see that hard work had taken place on the training ground – it was a massive improvement over the corners under Lee Clark but, sadly, a goal was not the just reward. 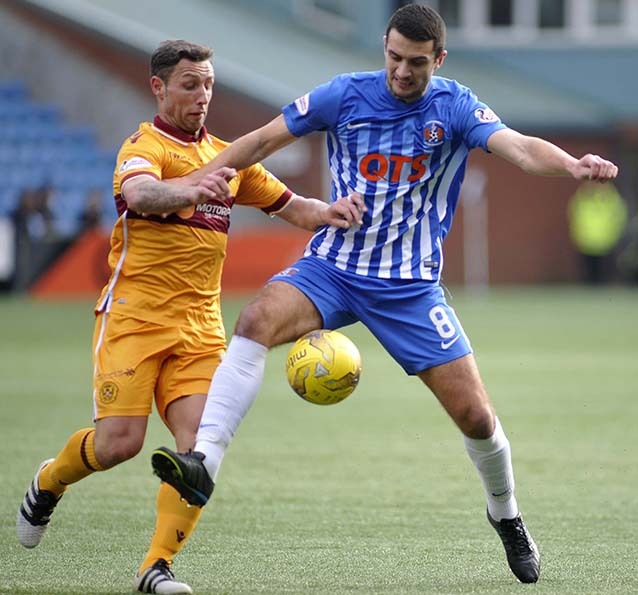 However, the deserved goal for the home side did arrive in the 32nd minute when Taylor squared the ball to Gary Dicker who spotted the Killie marksmen advancing and chipped an excellent ball into the penalty area from the half-way line. The ball broke kindly (we’ll never know if Special K controlled it with is hand!) 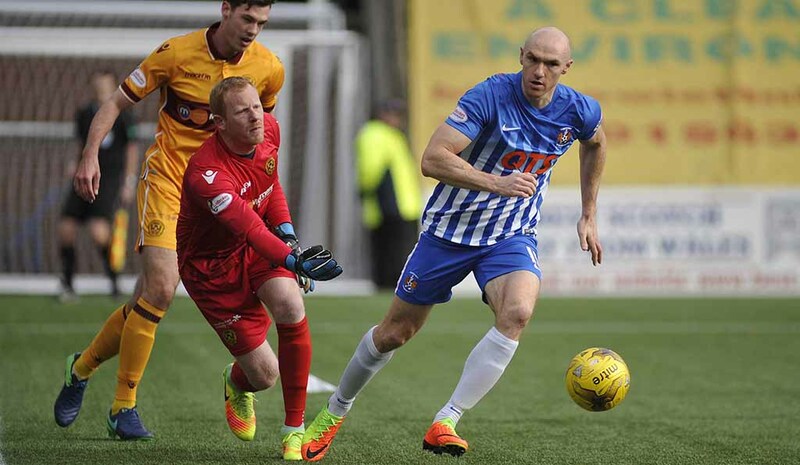 and the usual lethal finish was despatched by Boydie past the despairing dive of former Killie stopper Samson. 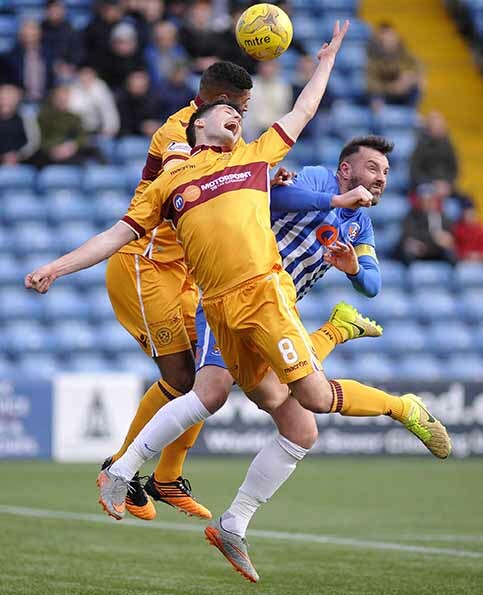 Referee Madden was becoming annoying trying to turn the game into yet another “Referee Show” but he wasn’t helped by the bullying and “drop and roll” tactics sometimes employed by the Steelmen. At half time there were few signs of what was to come in what was, sadly, an ultimate “game of two halves”. 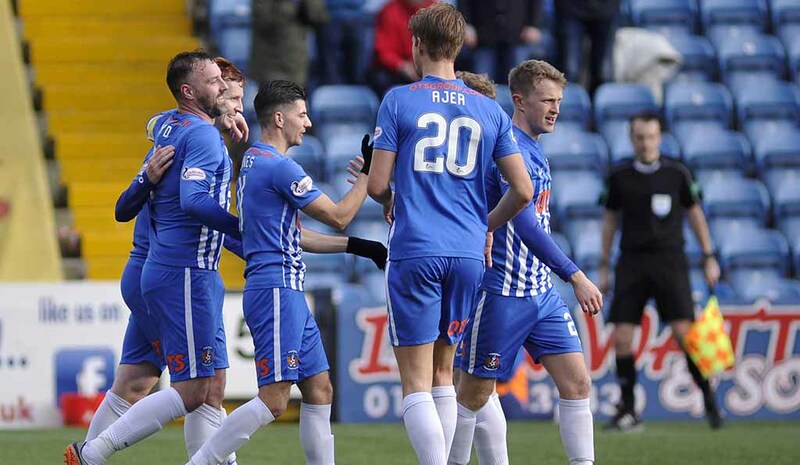 Killie led 1-0 and it should have been more. 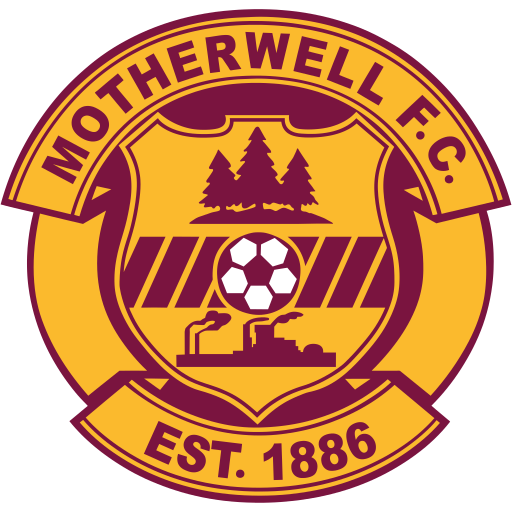 Stand-in ‘Well boss Robinson rang the changes by hooking the experienced Lasley and Hamell and bringing on Bowman and Frear for the second 45 minutes; he also brought McDonald into midfield in a sort of “number 10” role and played 3-1-3-1-2 with a real physical presence as well. 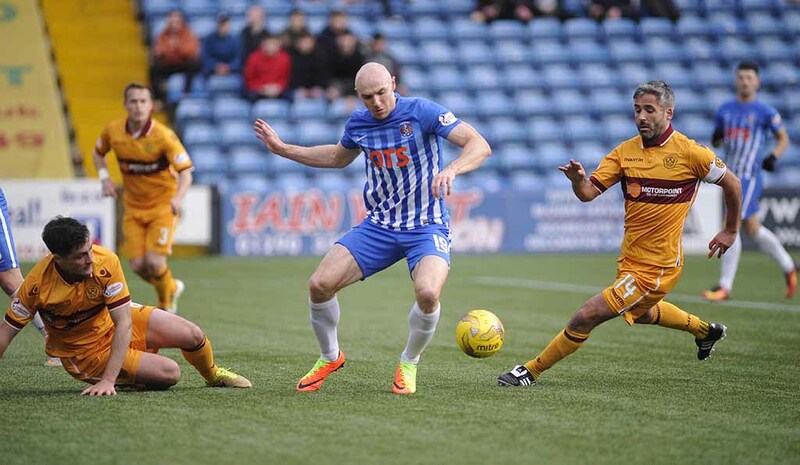 Disappointingly, the Killie management and players did not cope with the changes in tactics, movement and physicality. 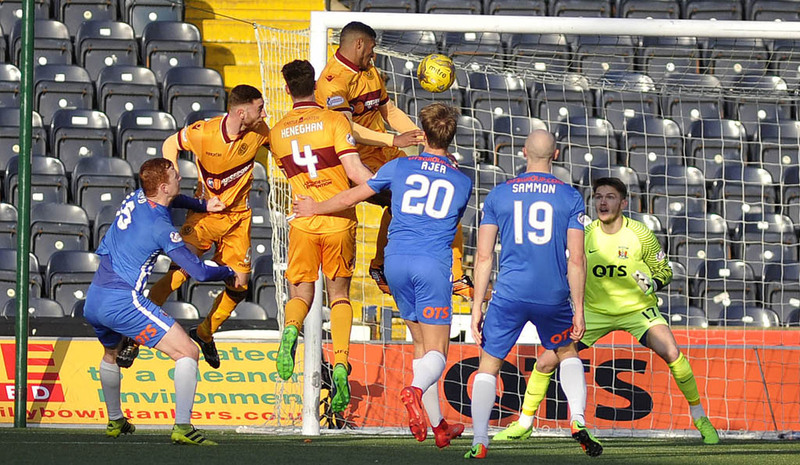 Ironically it would be set pieces which would be the downfall of the home side when, from a corner in the 51st minute that man Boyd (the K one) failed to clear the ball allowing it to fall to McHugh who applied the finish for his first ever goal for ‘Well. 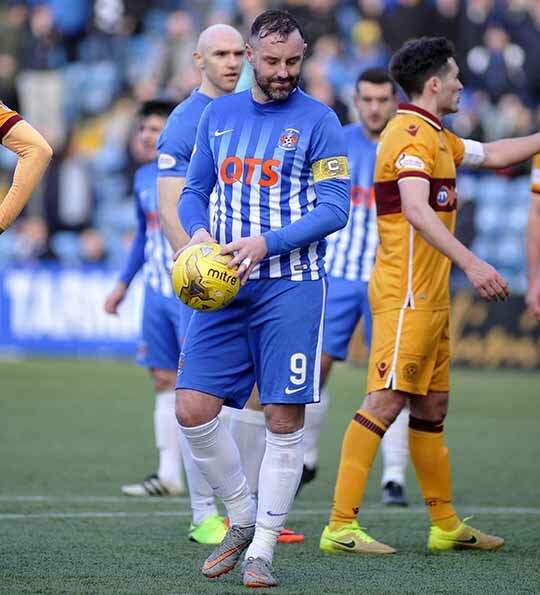 Worse was to follow when (in a similar fashion to the ICT game at Rugby Park) a free kick was lofted into the box and it seemed it was only ‘Well players who wanted to win the ball and defender Zack Jules headed home for his first EVER goal after 76 minutes. 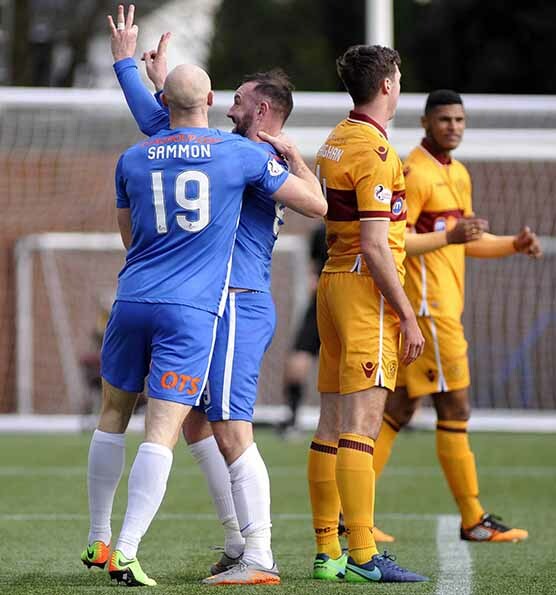 In between those goals the excellent Dicker had produced a thunderbolt which was somehow turned onto the bar and over by Samson. It was actually a very fine save. 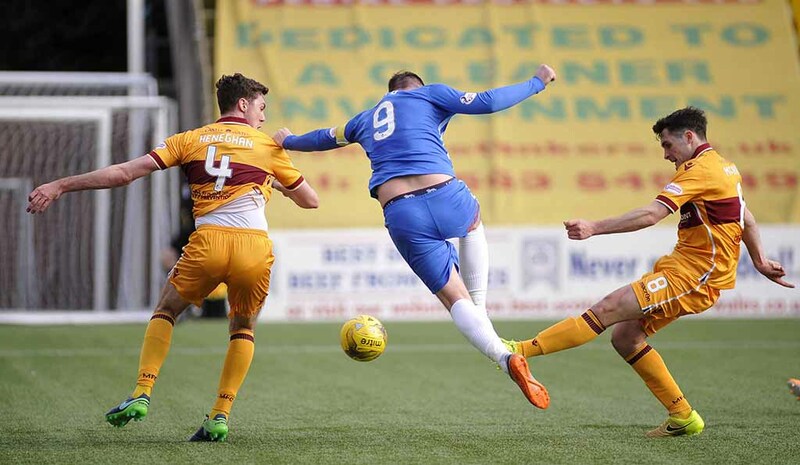 Woodman had also dived smartly to his left to save from the annoying McDonald after a step over and dummy by Moult. 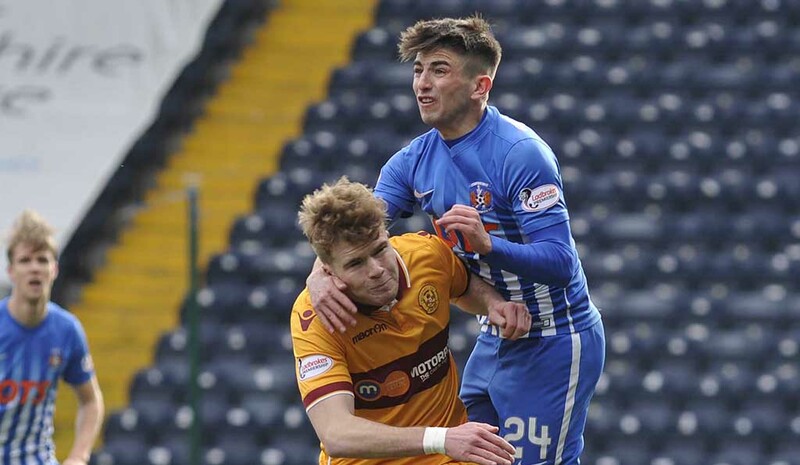 In the dying minutes more drama was to follow involving Killie sub and Newcastle loanee Roberts. 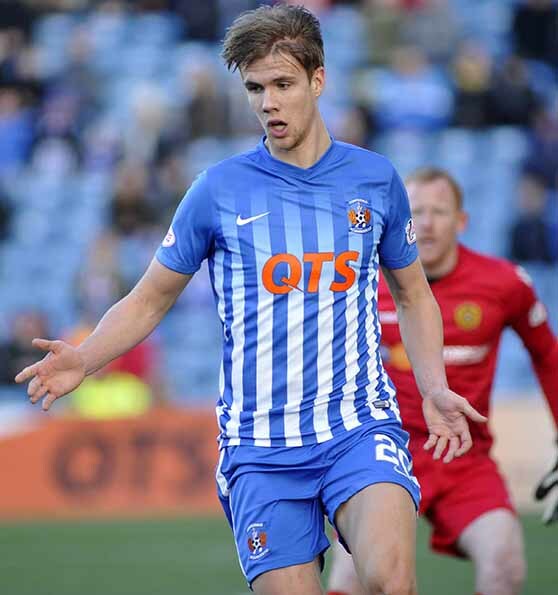 In what many home fans thought would be the final chance he blasted wildly over from a free kick when perhaps he should have allowed Special K to fire the ball goalwards. 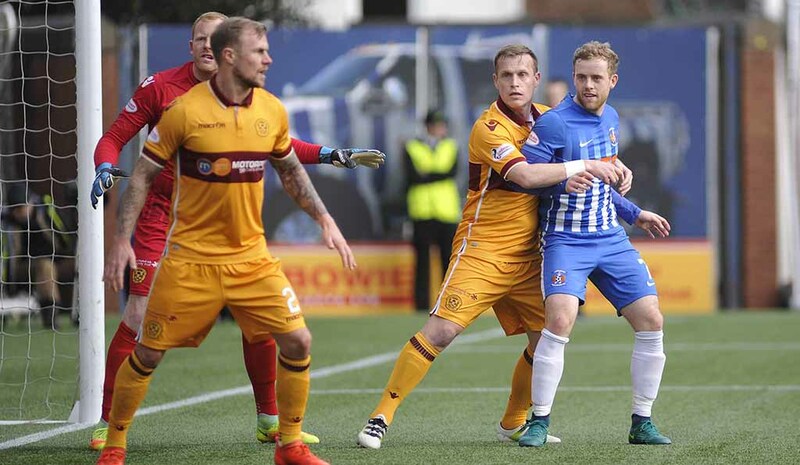 Roberts redeemed himself by winning a penalty in the dying seconds and the usually reliable Boyd was eventually allowed to take it after all sorts of antics from the ‘well players especially Boydie’s red headed pal Samson. The final drama was the ball striking Samson’s left hand post and bouncing away to safety. Boyd scored his first ever SPL goal against Motherwell back in November 2001 but there was to be no happy ending! I can only wonder how crucial that missed penalty could be after 33 or 38 games. 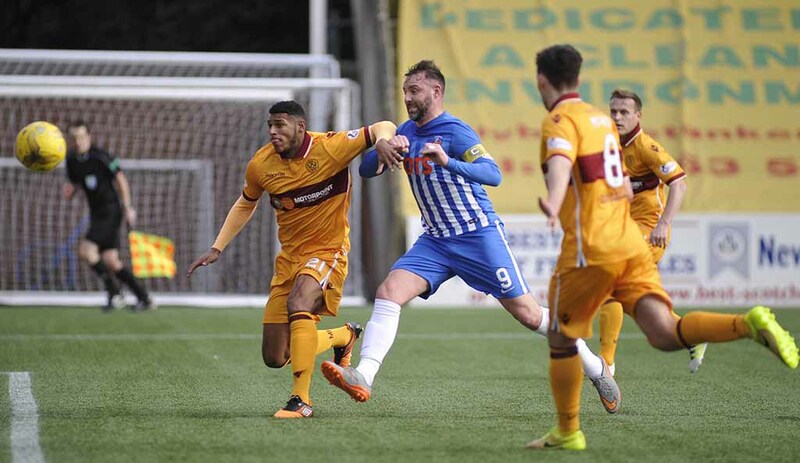 Not winning the three points was disappointing but allowing ‘Well to take them could be critical – the away side reacted as if they’d won a trophy when the final whistle was blown! Our next three games now become even more significant and I truly hope we gather a decent number of points as the games scheduled in April are toughies. 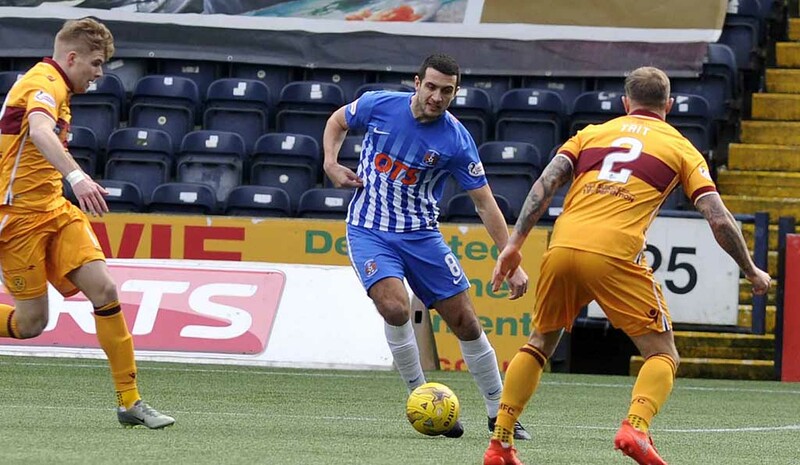 Lee McCulloch: "It happens, If there was a penalty in the next five minutes, you want Kris Boyd taking it. Unbelievable achievement to get the 200 goals. The big man was outstanding and I said that to him after the game. It was an outstanding performance but on top of that he got his goal as well. The biggest disappointment is the set-plays, people switching off, not doing their jobs. Individual errors have cost us two goals."